IN THIS REPEAT: About the 2019 Inklings Weekend in Montreat, NC. 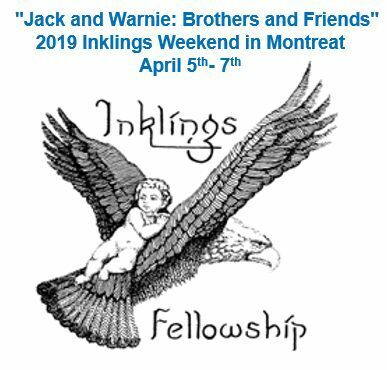 Inklings Weekend is soon approaching....it's Friday, April 5th until Sunday, April 7th in Montreat, NC at Montreat College (near Black Mountain). Dr. Hal Poe and Dr. Don King are my guests for this interview about the event. The theme for 2019 is "Jack and Warnie: Brothers and Friends." Both Dr. Poe and Dr. King have been working on books related to the theme and they will be sharing some insights from their research.